Writing a will is a task which we all need to eventually face in our lifetimes. It isn’t the most fun job for us to do and it can be a little depressing for us when we are still young. However, writing a will is absolutely essential if you want to ensure that your assets are passed on to the right people after you die. If you are wondering why you need to write a will, you need to think about your family and their future. When you are gone, your family will be faced with sorting through your items and it can be incredibly stressful for them to decide who gets what. By writing a will you have already made this decision and you can be sure that the right people get your items and money. It is important to do your research on writing your will, what a will won’t do, and when you should do it. A will can be written at any age. From the moment you make the transition from teenager to adult, it is time to think about writing out your will. You can update your will throughout your lifetime, and it is important to have one ready as early as you can in case anything ever happens to you. Writing a will isn’t as difficult as it may first appear, however having said that, you do need to ensure all information you provide is thorough and accurate. Here are the steps you need to take when writing a will. When preparing your will you will want to know how much your estate is worth. Make sure you get it valued regularly to account for inflation so that your value stays as accurate as possible. Perhaps the most difficult part of writing a will is deciding who will receive what. If you have multiple children and a partner to provide for you will want to think of dividing the shares equally between your children and giving your partner a larger share. You can also divide in terms of an asset such as one child getting the house and another getting your car etc… if you have a pet, find out who in the family would be happiest to take the pet and look after it. If you have a large inheritance to pass on, you may decide to donate a sum if it to your favorite charity when you pass away. If you are going to do this you need to write the name, address and registration number of the charity in your will. 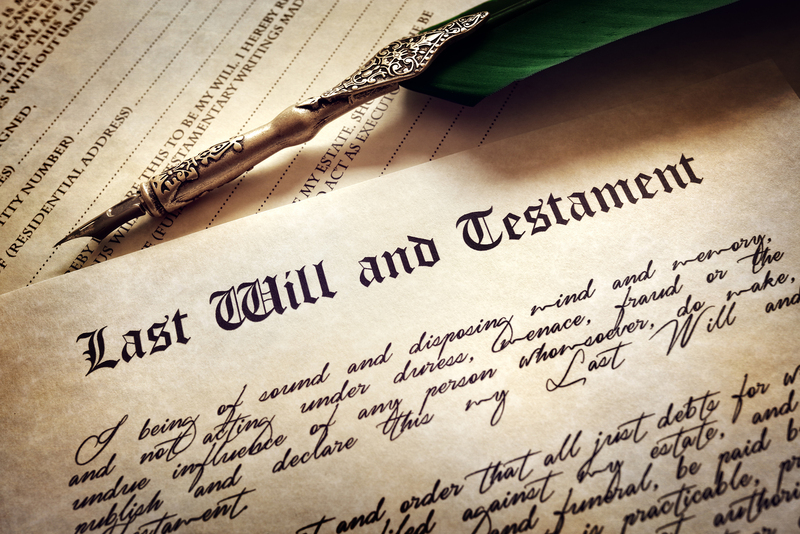 When writing your will, you need to pick someone who you trust to be the executor of the will. This means that once you pass away, they will be tasked with dividing your assets between your family and making sure that everyone gets what they have been promised in your will. Writing your will can be done in a number of ways. You can fill it out online, do it at home yourself, or sit with a lawyer and go through the process with them. This will ensure that everything you wish is put into the will and that everything is completely legal and airtight. When you are still alive, there are also things you can do to ensure you get everything you need when you are mentally impaired. When you become ill and can no longer make decisions of sound mind, you can have a document written in advance to give someone the power over your finances. Choose your power of attorney wisely because they will be trusted with your finances when you are no longer able. Alongside planning finances when you are too ill, you can plan your medical care. This will allow you to decide what treatment you will get in a number of cases and ensures that you aren’t left to suffer or given treatment that you didn’t want. It is a great way to stay in control of your life when you have no control over yourself. Preparing a will is an important part of life. It allows us to live peacefully in the knowledge that the people we love will receive our things when we can pass on. Think about getting your will drawn up this year and let yourself prepare better for the future.